Republika Srpska President Milorad Dodik told SRNA that it is absolutely clear that today’s judgment against the first president of Republika Srpska, Radovan Karadzic, before the ICTY, which convicted him of 40 years in prison, was made under strong pressure from various international lobbies and earlier stereotypes about the Serbs being exclusively guilty party for the war in BiH. “It is known that many cases at the ICTY have not always been based on facts, but were significantly politically motivated, as well as both the indictments and the verdicts were pre-tailored,” said Dodik, pointing out that most of the people in Srpska understand it this way. “It’s the same with Atif Dudakovic who we could see ordering to kill everything that is of Serb origin, but no court, not even the ICTY, found a reason to prosecute him for that,” Dodik recalled and stressed that this shows that the alleged Hague justice is selective and politically motivated. Dodik has said that the ICTY was pretentiously announced as a place of justice, which should have led to the reconciliation, but nowadays it is obvious that there has never been less reconciliation and more injustice in BiH. “Establishing the judicial institutions anywhere and at any level for the function of political showdowns, certainly does not contribute to the stabilisation and trust building,” said Dodik. According to him, if someone wanted justice for the victims, then the question would be posed – what about justice for the Serb victims, which are enormous, not only in Srpska, but in Serbia and in many other places, too. He has warned about the fact that in terms of the ICTY’s verdicts, some parties are trying to “impose a particular burden” on Srpska itself, but it will not be achieved he said, regardless of any impacts, thus Srpska continues to live on and work, going its own way towards the stabilisation of the situation in total. “I have to thank the Serbian Prime Minister Aleksandar Vucic, who made it clear today that the policy of preserving Republika Srpska cannot depend on any judgment,” said Dodik. Dodik added that Srpska needs to be grateful to Serbia and its PM for such a clear position, which he stated at the memorial service to the victims killed in the NATO bombing of Serbia, during which a significant number of children were killed. 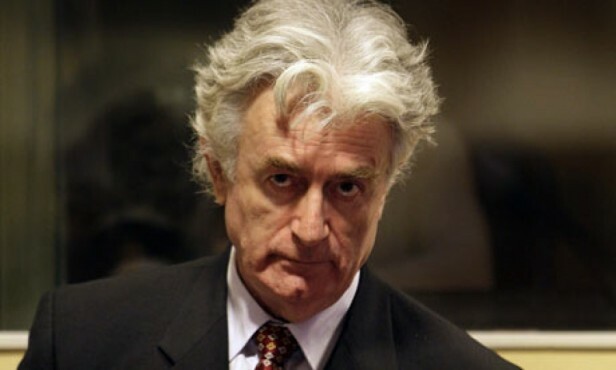 “It is obvious – accidentally or not – that the day of sentencing /Karadzic/ was scheduled on the day when Serbia was bombed. In this respect, people in Srpska have their own feeling about this, and I feel it and I know it,” said Dodik.